What is this so called Otome Games? Otome Games (乙女ゲーム) is a type of games which is made (specifically) / targeted for women (hence the ‘otome’ part, 乙女), where the main reason for this game is to develop a certain romantic relationship between the female (let’s called her heroine from now on) with several males (let’s called them capturables from now on), mainly the heroine will pick one of those boys (by picking up specific options and dialogues, and go straight into their routes), or even has a 2P ending (not all of otome games are like this). This game is simply made of the mixing between visual novels & dating-sim. How Otome Game works in PC. (C) Poni-Patchet. OzMafia!! Usually otome games are about female x male, but there are some games genre-ed BL (Boys Love), which means it is about male x male. (I’ve never wanted to play BL though, since I’m not really fond at it, and I almost play Dramatical Murder just because the characters seemed awesome). 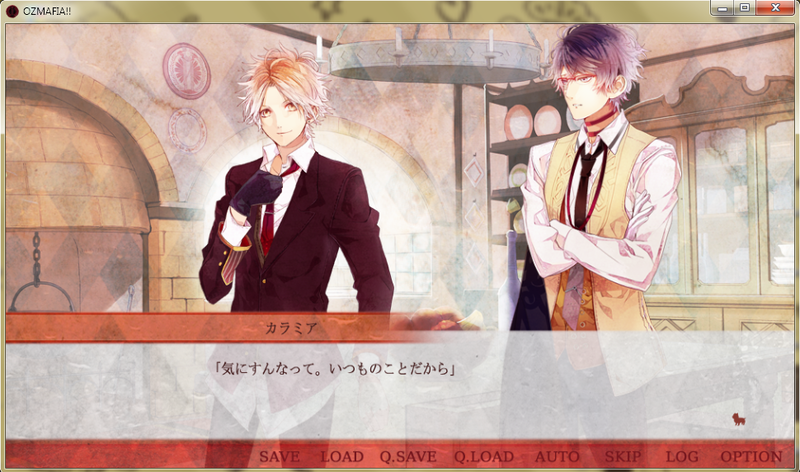 EDIT1: I seemed to be mistaken about Boys Love being an otome games. Just as May in the comment section below said; BL Games are targetted for female, but it doesn’t add up to otome games. Thank you for the correction! But since it’s still a usual term, I think I will still stick this one in the post. Since I’ve never played any BL games before, I lacked the very source to make it whole, so I’ll leave it aside. But in any case, if you’re interested on purchasing (and I’m very much urging you to) BL Games, the best companies you could let your eyes linger at are: Nitro+Chiral & Tenneouji. Is there something we can look forward inside of an otome games’s sites? Of course you will have a lot of benefits. Either you get the most updated news to certain free stuffs. 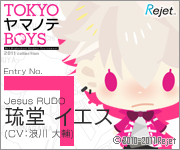 Japanese Companies for otome games are really enthusiastic when it comes to the pre-publication for their games. Which means, they will make a certain site just for that game only. In this case; the company will usually give out special features; that could be a blog part, or voice samples of your beloved bishie, CG collections, wallpapers, twitter icons, PSP themes, and many more. In what platforms we could play otome games? You could play it with using emulators if you don’t have the real possible handhelds / platforms. Most of Otome Games made by Otomate are for PSP. While Rejet, QuinRose (QR), and other companies (mostly) made games (mostly) for PC. Older otome games are found for PS2, and there are some (but not as much as PC & PSP) in NDS. Now, there are a lot of otome games that are made for iOS & Android too. I suggest you checking them out since they are pretty awesome. I have never used any of emulators before, so that is why if you ask the questions about the malfunction, or troubleshoots here, I can’t make a response. I’m sorry. Where to buy Otome Games? It really depends. 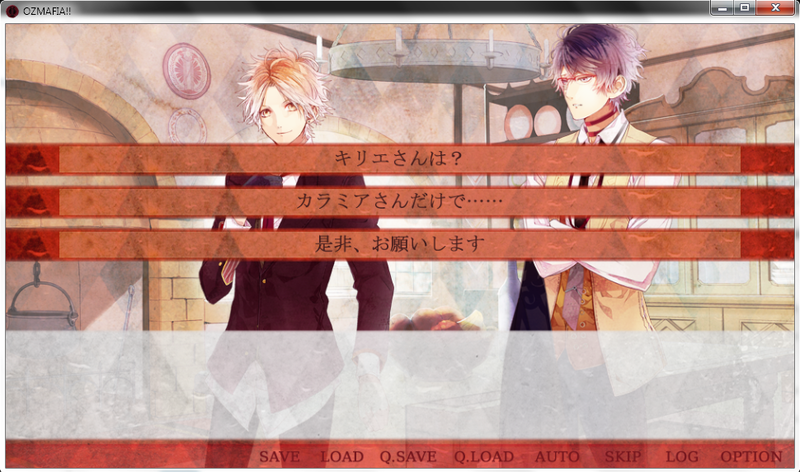 The first option when it comes to buying otome games must be from the main site itself, or Amazon.co.jp. Amazon, however, has a very expensive price with less offer and features since it is a very large site. Shipping cost is REALLY expensive (no kidding) and you need to sacrifice your whole (I am a student, and my wallet is empty after I buy one otome game) expense. 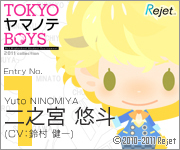 Having to buy Otome Games, you need at least 5,800 Yen (Regular Edition) or 6,000+ Yen for Limited Edition. Which adds up to spending $60 JUST to buy the games. Shipping Fees by CDJapan. Click for details. And since MOST of you are not in JAPAN. You will need to pay for shipping prices and taxes as well, THAT makes the games REALLY expensive. In my experience, importing the game from Japan needs A LOT OF MONEY. I spent more than a hundred dollars to pay the shipping fee and the taxes, which to amount the same price as the game. That is the reason why I think people in my places justified themselves to getting free copies in the internet because they don’t have the money to pay for the fees. Other than that, you could also preorder your copies in CDJapan (Recommended), PlayAsia, AmiAmi, and other international stores. For more options and considerations regarding the stores, you could read a post made by Hinano. It is very thorough & complete. What are Preorder, Tokuten, & Limited Edition? Preorder: Means you ‘order’ the game when it has not out yet (which means, it is still in the process of being launched / still in work). Preorder means that you have ‘secured’ your copy of game when it comes out later (that could lead to out of stock). So when the release date is there; the store you have preordered in will send your package faster than the ones who only order in the same date. Tokuten: It means a special gift / goodies if you buy the game in a Japan-only stores like Alice-net and Animate.jp. Each shop has different tokutens for one game. Which means, you could pick which shop that you like the tokutens the most, and order / pay for the game to them. Limited Edition: Means Limited Edition. It is usually come with Drama CDs, small illustration book, and other goodies. 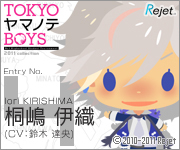 In any case, don’t mind me if you have enough money; save it for Limited Editions since LE versions usually come with Drama CDs and other special accessories. 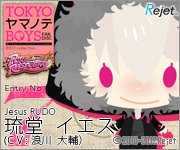 There is tokuten; which means special goody for you guys who buy in specific stores, like Alice-net, Animate.jp, etc. (This is JAPAN only feature). Tokutens are only able to be bought in Japanese local stores which only wants to ship in Japan. Not International. Meaning, you will need proxies to help you buying the tokuten version IF you want to (since it’s very costy). Now, let us think about the option to reconsider: You are not in Japan, but you want a tokuten. But how to get it? In my observation, Proxy is a third-party peep that will buy you the ‘game’ and will deliver it to you after you pay them. Proxies are very useful when it comes to buying Tokutens that aren’t reachable from outside of Japan. The prices are varied each shop, however, so that is the reason why you need to be picky when you choose your proxy. 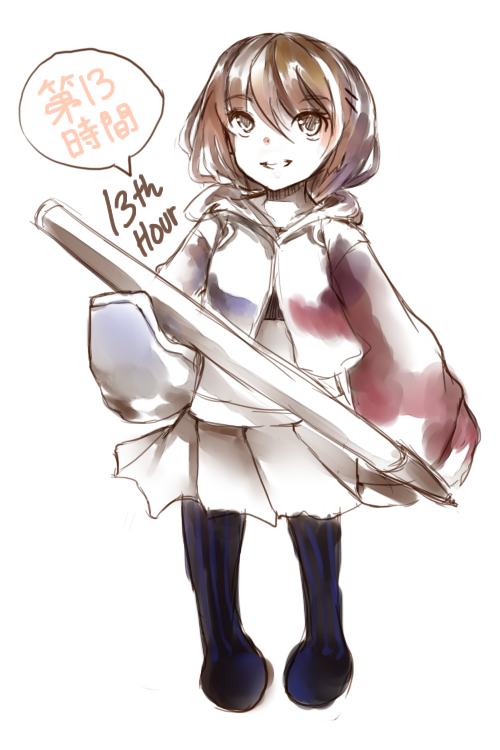 I have a friend that love games as well (mainly JRPG), and he is my current proxy / importer. He imported my games and I pay him less than the things + shipping fee. A personally-known importer / proxy will be a very good choice. Here are the list of websites that offered proxies. Though, since I have my own proxy, I hardly know about the sites. But feel free to ask if you want to know something else. Anislo -> You can count your own shipping fee first; unlike most sites who doesn’t give you information about them. FromJapan -> I’ve heard from a friend that this site offers a very good service & provide cheaper prices than most proxies do. Again, Hinano’s post that I linked above covered up this thing as well. Also, there is a thread in OJ (Otome-Jikan) that discusses about this kind of topic. I’m sure it will be useful for your references. Are there any English version of ___ Otome Game? No, 98% (or around that percentage) of the time, Otome Games will NOT have English versions. Unless you do something about it, ofc. Apparently the amount of otome games that had been translated into English version (NA in this matter) is sadly in a minimum for now. The news of the english otome games being localized is a rare to be heard. Although, slowly but surely, this fandom had risen from closet fans (or so did I think), to known-ones, at least that is what I think. That is the reason why otome games aren’t well known in the West (or other places outside of Japan). I hardly know about otome-games since last year, before I’ve started playing my limited edition Hakuouki – Demon of The Fleeting Blossom localized by Aksys Games (PSP) and Starry Sky – Spring (JAP) by Honeybee in (PC). Since then, I’ve started to dig out what is otome games about and of course, it’s hard to know about them at first if you only know such a little thing about them in the start. And… I don’t know the rest. So far the otome games that I’ve played in both PSP and PC are all in Japanese. Which means, you will need to know how to read Japanese before you started playing otome-games. Don’t worry. If you can’t do Japanese (nor reading them), you could always use translation tools (in PC) to help you at least understand something from the Japanese texts. Though, this is only available FOR PC Games only. Unless you’re using PSP emulator or something by using your PC, maybe you could. Since otome games is similar with eroge (or male to female cast, harem), peeps in hongfire and the crew have invented a lot of tools that proved a great deal to help people to at least understand what the text means, even though it is not perfect. These tools are made only for PC. To know how to use translation tools (AGTH, ITH, ATLAS Translation Tool, Translation Aggragator), please do look at this post. I recommend on INSTALLING all of them. It’s going to be very useful. Though, installing only AGTH / ITH (For hooking the text inside of the program) and one translation tool (ATLAS, I recommended, since Translation Aggragator is only a tab / program containing other translating program such as ATLAS). If you want quicker guide to use the tools, you could go to this Tumblr post, since the hongfire post needs you to download the walkthrough. This might save some of your time. But so far, there is also another alternative: Visual Novel Reader, made and developed by Jichi. It is very practical, though I think it is still in Beta version since it is not that well working yet. Here is the post to see how to use it -> by Sakimichi / Troubleshooting posts by Aaeru. It is one of the most practical way that could be really great for TLC to work out if it is going to be properly developped. Other than crappy translated text, you could do it the hard way. You could also play the games with learning how to read, and understand Japanese. Aaeru had made a very excellent post (I suggest you DO the post too) about this, and I’m on my way on learning too. Aaeru has been a very helpful bunch and her post really helps me with my Japanese problem. However, the weakness of the guide is one: you are only taught how to READ and UNDERSTAND. Not to SPEAK and to learn how to know the ROMAJI. I suggest on taking a proper Japanese course if you’re getting serious on this language. If you’re only for shits and giggles, then that post is just for you. There is also a topic by Tay on Fuwanovel that is very helpful regarding Japanese questions, tutorials, and also key sites. I suggest reading them too. What should we do to make Otome Games be localized? There are A LOT of things that you could do, being a fans and all, who is also the consumer of otome games companies. As much as you might not like it, but BUYING their games could MAKE those Japanese companies realize that the WEST (a.k.a, a place to share their japanese games with; translate their games to English; localization) is a very potential market. In the other hand, you could VOICE your thought in localization companies’ forums. Like Aksys Games, XSEED Games, and a new localization company, Acttil. How to voice it? SHARE your love for otome games in social networks. Tell the companies, make noise, tell them that otome games are potential! Here, make an e-mail to Acttil that you want otome games to be localized to ask@acttil.com. More information is in this post. Then POST and make noise in Aksys Forums & XSEED Forums. OzMafia!’s company, Poni-Patchet said that the more people buy their copies (since they are a new company) the better the localization chance will be. The director himself e-mailed one of otome game fans and yes. Any references or Key Sites? I do have a lot of key sites, ranging from up-to-date REVIEWS, Walkthroughs, Download sites, and News Anchor. Hope the list helps you as I try to improve this post more. Fuwanovel -> A wonderful repository site managed by Aaeru. It provides a lot of eroge, VN to some otome games that are already english patched via bit-torrents. English Otome Games -> A wonderful site contains EVERYTHING you need to know regarding english otome games. Anime-Sharing -> A very complete direct download site. Otome Jikan -> An awesome site with up-to-date Otome Games news. I suggest you to stalk this site often! They also have forum. Bishounen Gemu -> An otome-game TLC group that has a forum contained a lot of useful things called Otome Hearts. Hinano’s Game Babbles -> Awesome. Review. Otome Games. Site. And is up-to-date. Dengeki Online -> Japanese news site that is really up to date. They contain other games other than Otome games tho. La Primavera -> A very up-to-date walkthrough site. I always use their walkthrough in case I’m in a deadblock. I hope my post could be some of help to you guys! I’ll make a recommendation list of otome games to play for newbies! I know both(Otome and BL) type of games cater to women,but the fandom/gamers don’t exactly mash together,and it’s a misnomer to label a BL game as an “otome” category game. It would be really confusing for people. Oh gosh, sorry about that! I’ll make sure to edit it and separate them. Thank you very much for the correction!